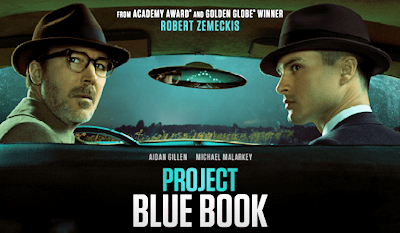 So on January 8 we finally saw the much-awaited first episode of Project Blue Book on the Channel that once showed History. It was expected to be sensationalized, and poorly-acted. Those things it was. Where it exceeded expectations, however, was in the degree that it distorted the facts of what was, in fact, a historical incident, freely mixing sensational but fictional elements with a classic UFO incident. Public discussions of this case will now be hopelessly polluted by the made-up elements that people will now firmly believe to be part of the actual story.